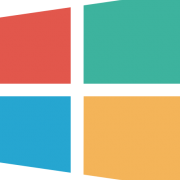 "These guides will hopefully help you use Windows 7 Toolkit, if you are struggling with a tool then please feel free to ask in its topic how to use it. This area is not to report bugs so please report them in the 'Main' forum and requests need to go in the 'Requests' forum." I am not able to install my microsoft toolkit in my windows 10 64 bit. Choose how Windows can install updates. Meaning: Checkmark Colors and fixes?